Originally debuted in 2017 on the Air Max 97, Nike’s “Country Camo” makeups feature different military-style camo prints from tiger to digital and velcro flag patches for the tongue. 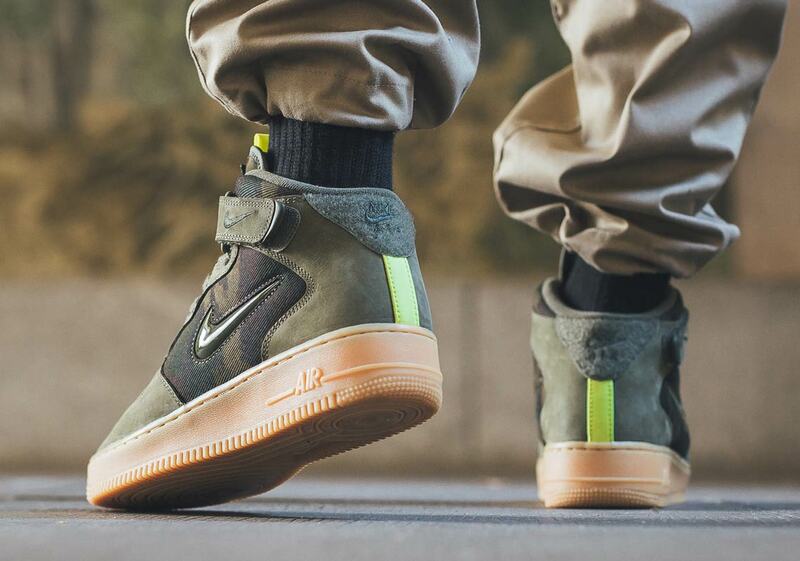 Now in 2018, the Swoosh Brand is bringing the patriotic military aesthetic back on a new silhouette, as a camouflaged Air Force 1 Mid complete with French flag tongue patches has surfaced. 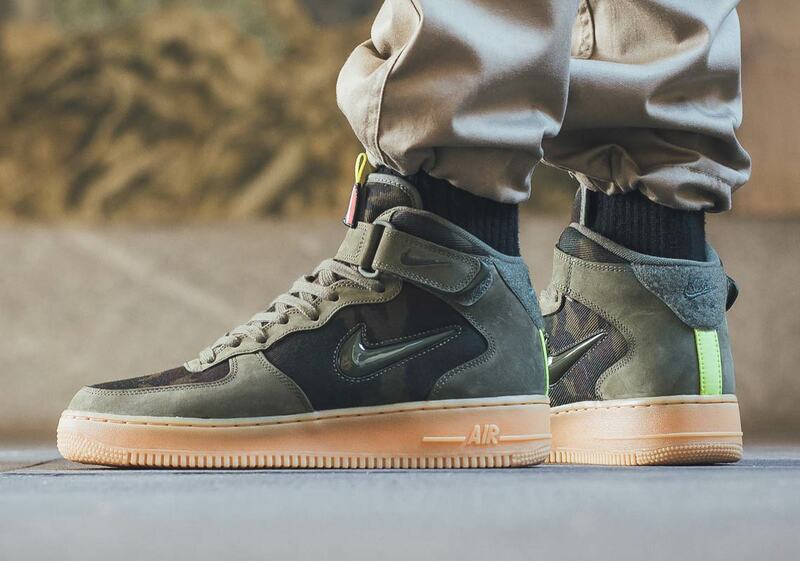 The canvas upper features classic woodland-style camo with olive-green overlays, and a jewel swoosh replaces the normal AF1 swoosh on the midfoot. 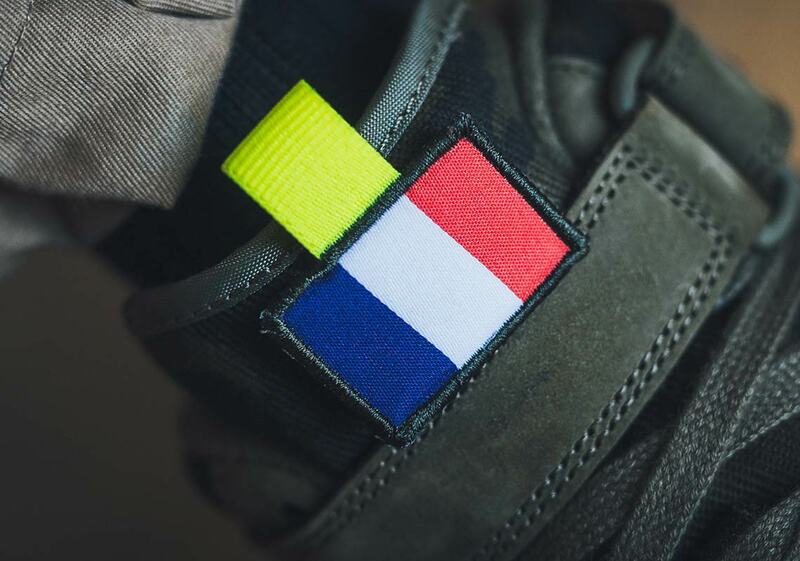 Removable French flag patches adorn the tongue, a pop of bright contrast arrives via neon yellow heel and tongue taping, and the shoe’s look is completed with a classic gum midsole/outsole. 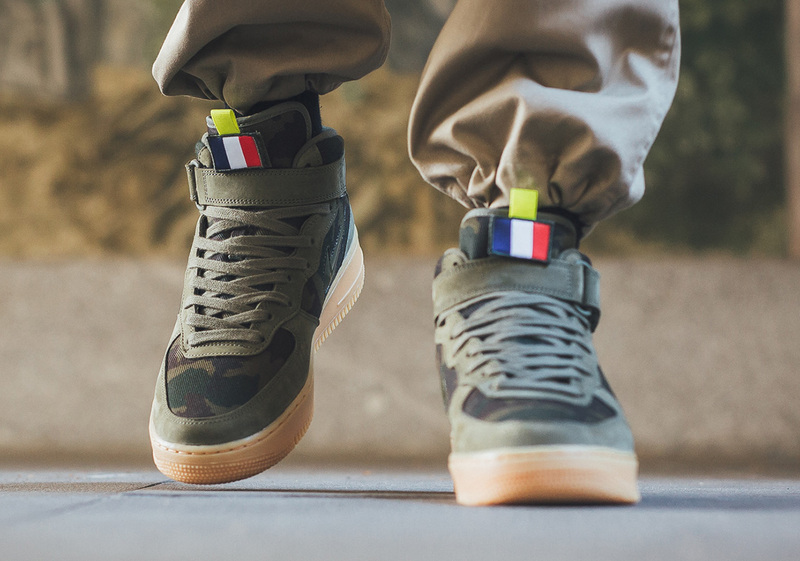 These nationalistic Air Force 1s are available now at select EU Nike stockists like Titolo, and will likely release stateside in the coming weeks.